The play of sun and moon structures a day. Two natural light sources that are guiding us through space and time. Urban living very often doesn’t match with sunrise and sunset, therefore the design challenge is to create our own lighting universe. 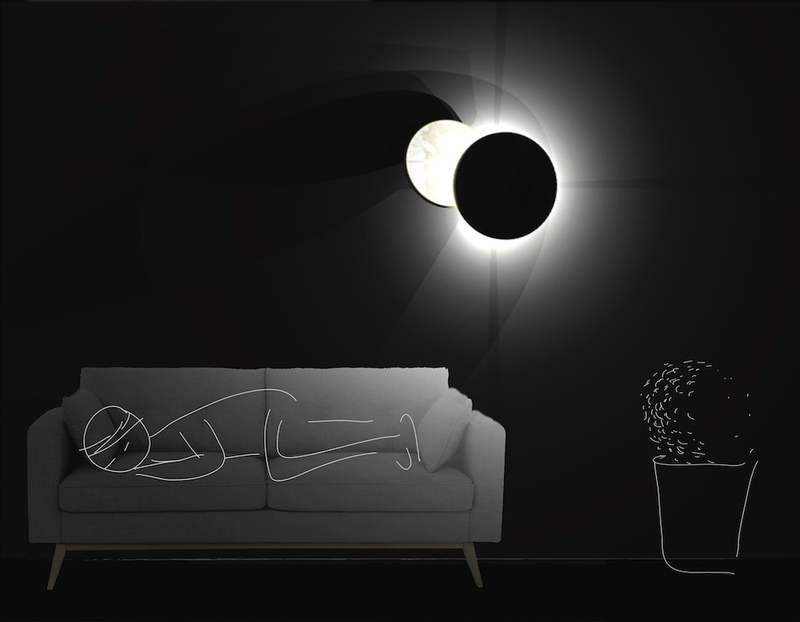 Inspired by the natural reality of sun and moon, a bedside table light has been designed. 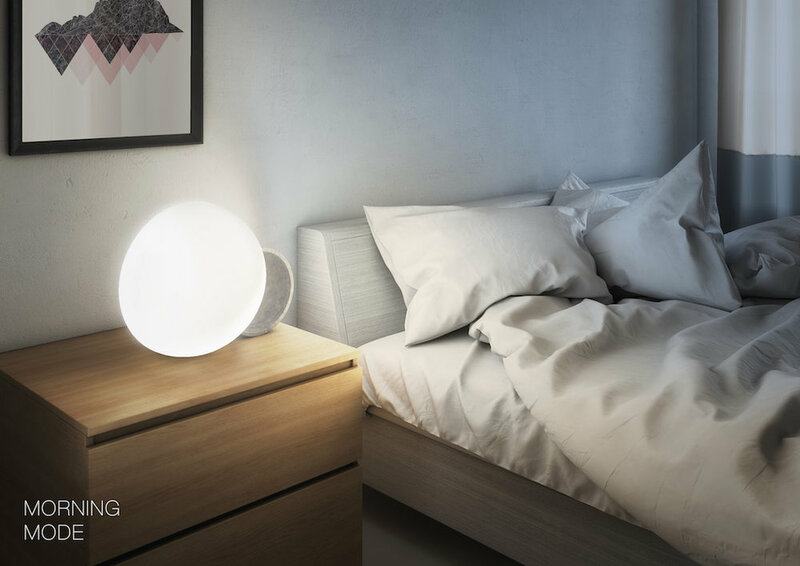 Based on the user’s circadian rhythm, the luminaire assists by waking up and falling asleep in a pleasant way. Via mobile app, an individual set up can be made regarding light intensity and color temperature. The big hemisphere, the sun, will gradually illuminate itself in the morning linked to the alarm clock. The smaller hemisphere, the moon, features soft and reflected light at bedtime. Henyx, named after the greek goddesses of day and night Hemera and Nyx, contributes to a healthy lifestyle and brings us one step further to natural living. Two hemispheres are held by a copper framework. 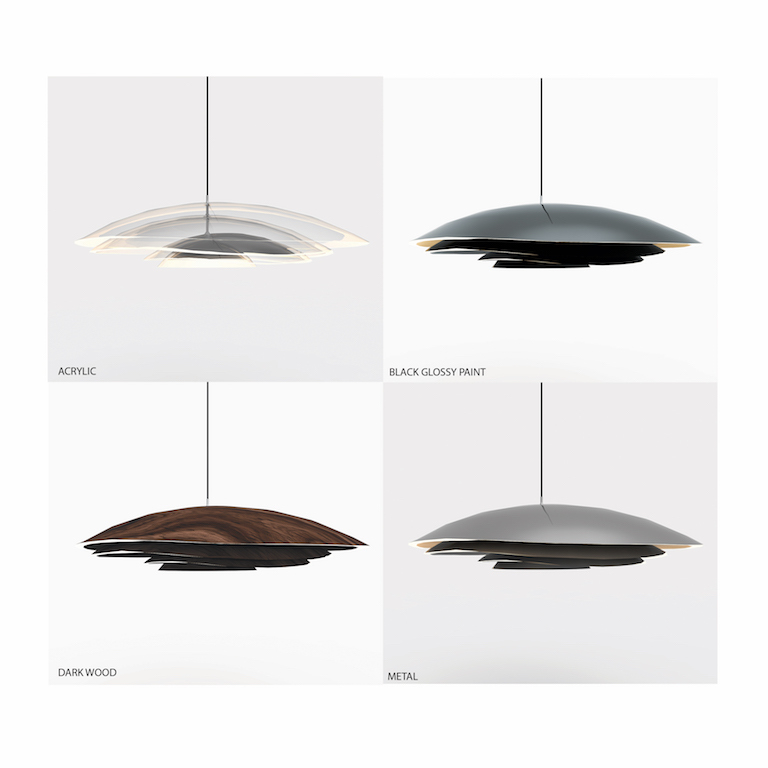 The bigger one consists of acrylic glass with a matte finish that acts light-diffusing. The LED lamp has a blue-enhanced spectrum, which functions like an energy boost. The smaller hemisphere is fabricated from concrete. Its LED lamp, pointing from the bigger hemisphere into the concrete shape, has a reduced short wavelength. The composition measures 350 x 480 x 170mm. Born and raised in the countryside of Austria, Anna Tomschik takes main inspiration from nature. After receiving a master degree in Architecture in Vienna, she strived for deepening her sensitivity in lighting. She is currently studying at the KTH Lighting Laboratory in Stockholm, Sweden. Her design approach is human-centered. She believes in light as a precious good that has to be addressed to its users in quality and time. Humanity has been mesmerized by the wonders of the cosmos. The vast scale of the universe gives endless possibilities, so as our light fixture. 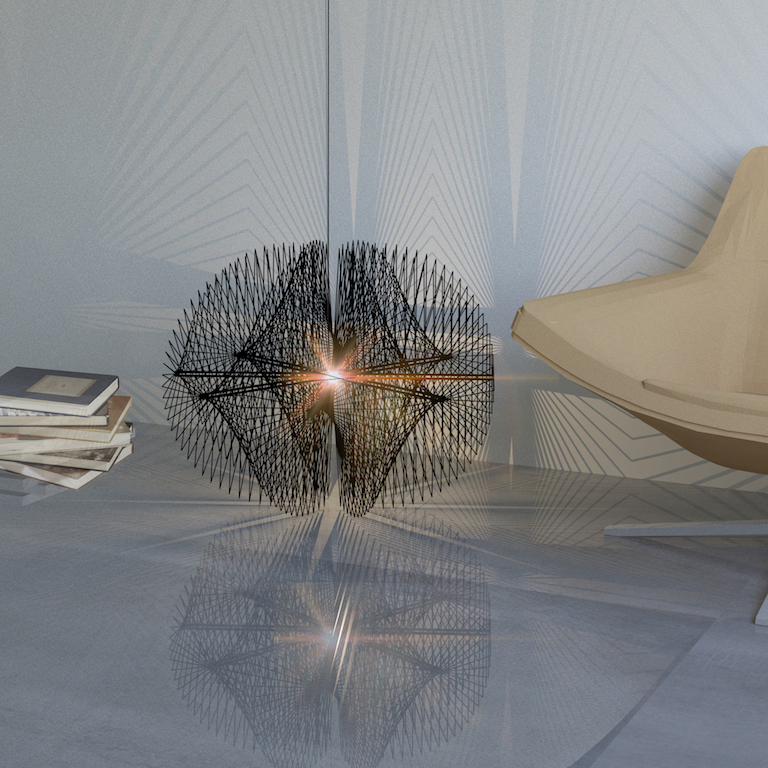 This lamp explores the potential and creativity of the user by connecting them to the mysterious cosmos. 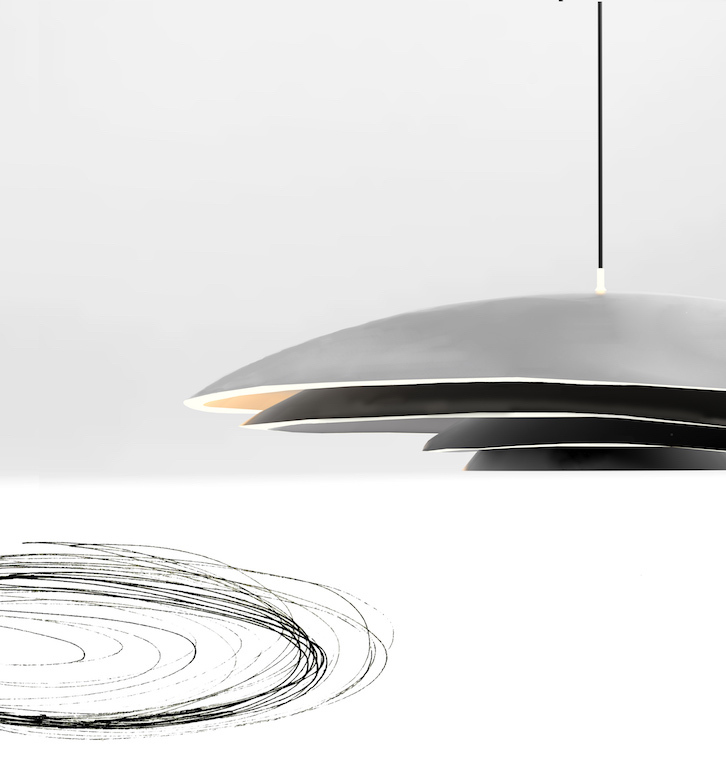 It allows users to play with the possibilities by changing the configuration and giving personality to the lamp. The interaction with the light fixtures gives a therapeutic effect to the users and allows them to reflect on life and recognize their own capabilities. The lamp sticks are made of acrylic with the sides covered with sandblasted acrylic that enables diffuse lighting. And the body part connect to the lamp sticks, which allows movement with the mini linear guides installed on each of the lamp sticks. The fixture can be repeated horizontally depending on the buyer’s need. Bonnie Yau and Ida Lei are interior design students studying in Savannah College of Arts and Design in Hong Kong Campus. As a team, they believe that simplicity and honesty is the key to successful design. They are interested in designs that are simple, intuitive and interactive, which allows users to easily engage. They enjoy making models and prototypes in the design process to explore creative ideas. Our collection of planets is surrounded by a large asteroid belt. These rocks exist in a revolving path and resemble a ring. Planets around and near Earth are shielded by a natural phenomenon that keeps the asteroids at bay. Our projects is designed to recreate the phenomenon that shields our planets from harm. 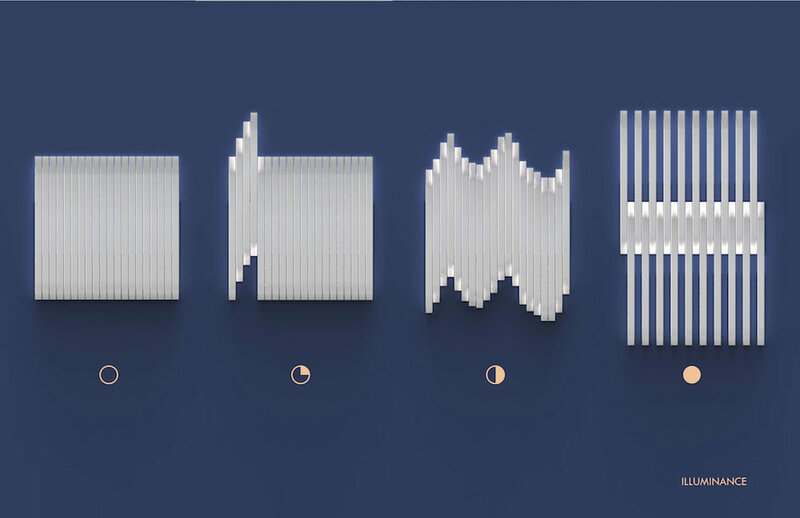 The top layer of our lighting design protects the layers below. We aim to create a nurturing mood that makes a space engaging. We have employed the technique of defused lighting and plan to use plastic as a building material. Ellen Siu and Cheryl Chan are both currently pursuing a BFA in Interior Design at SCAD Hong Kong. They found early on that drawing and designing relaxed them, and when they discovered that their work could be comforting to others as well, their hobby turned into a passion. As a team, they think that art should make people happy and relaxed. They hope that their lighting design could make a space engaging and interesting. Here, «Cosmic» represents an image, and its relation with time. The atheism of imperfection and unexpected things. The objective of this project was to recreate on the inside what a dark and illuminated sky can inspire us by creating a lamp that consider light in all it’s properties, diffusion, reflexion and refraction. The two round shapes complete each other, the one in front, white, simple and discreet, is here to reveal and highlight the one in the back. This second part of the lamp is an old mercury mirror, a bit damaged by time and slightly angled. With the reflexion of the light coming from the back of the first part of the lamp, it creates a light mark another wall of the room. 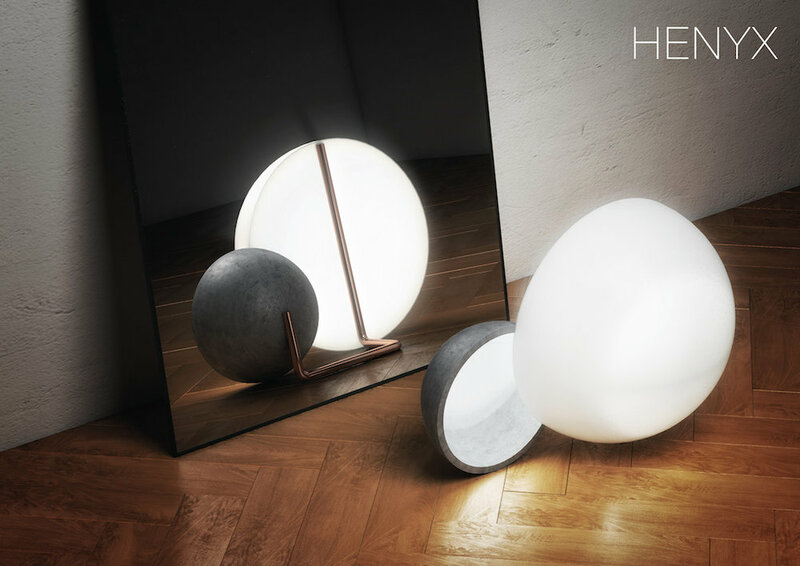 By Using LED lights, aluminum and reused mirror, "The Curious One" is a responsible and aesthetic lamp. Hope you like it ! The first round shape (12'' diameter) made of aluminium, circled with brass, with white LED lights on the back. The second one (9'' diameter) which is a old mercury mirror and circled with brass. The third part, in steel, link those two together, allows the all object to be fixed on a wall, and to the mirror to move and be angled . Hi ! My name is Sophie Charier, I am twenty one years old student and space designer currently studying at L’École de design Nantes Atlantique in the Master « Sustainable Innovations ». I am a very curious, dynamic and empathic person passioned by uncommon things. My work is influence by all the experiences that I had, personal and professional after my internships in architecture and design agencies (Bureau d’Achon in France, Zeller&Moye in Mexico). The cosmic space is a medium of constant change, the arrangement of the star, the bending of light, the revolutions of planets and moons. We see the lights in space as clouds made out of clusters of stars. individual stars look flat alone, but when arrange together they form a volumetric arrangement that has no definite shape but its form is in unison. 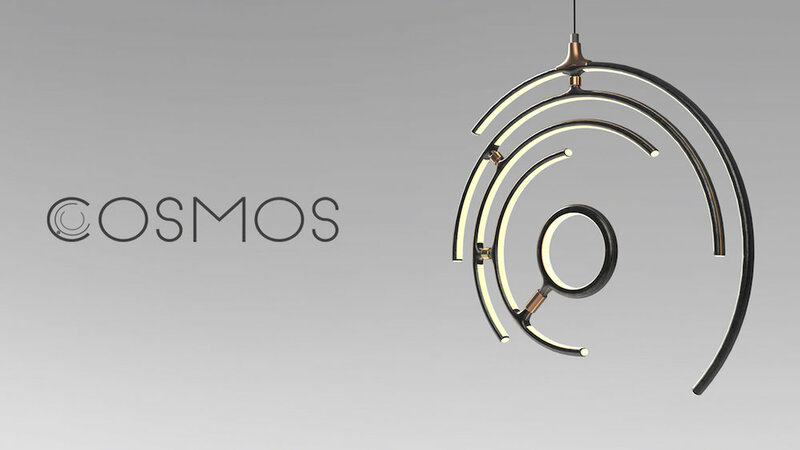 Cosmos is inspired by the unplanned yet complex and orderly system of the cosmic space. 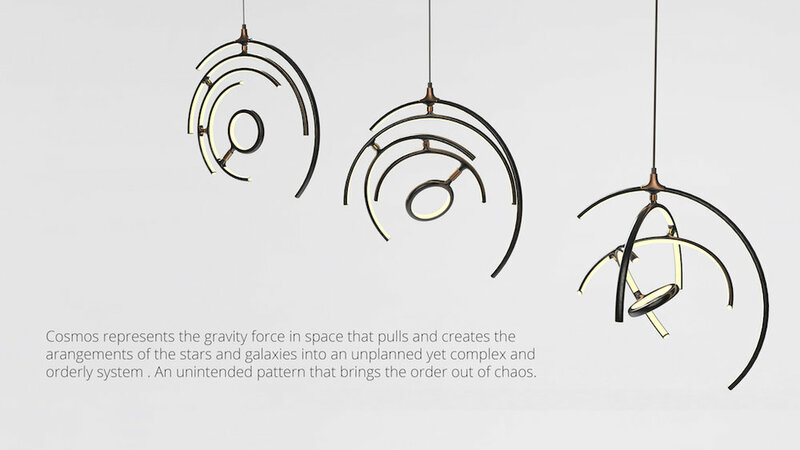 Each arm of the lamp is connected together with bearings that allows it to swivel, the idea behind it is to show the effects of gravity on the arrangement of the arms. An unintended yet harmonious form. Cosmos has 4 arms which correlates to the 4 spiral arms of our galaxy the Milky way. 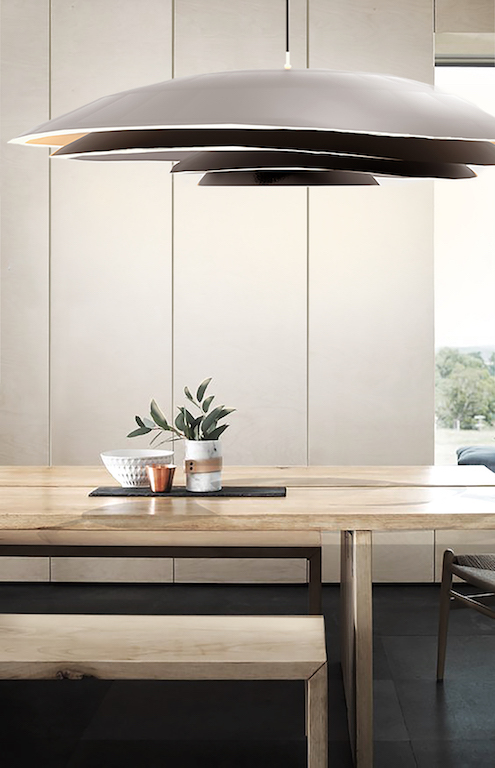 Cosmos can also use both as a pendant light or a standing lamp with the included stand. 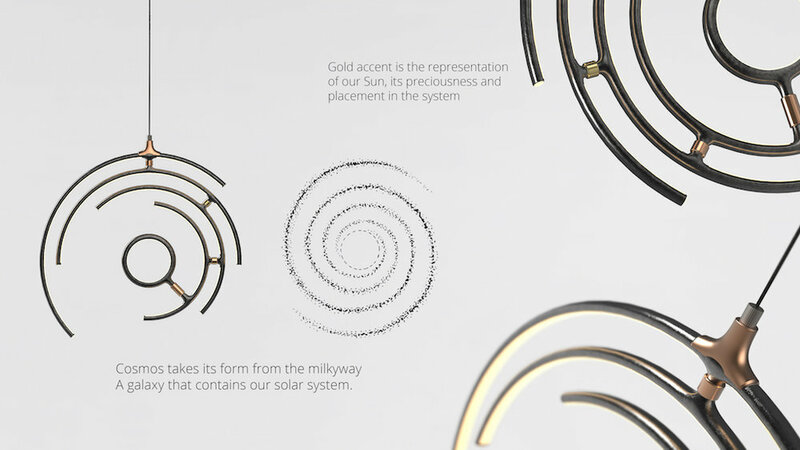 The cosmos pendant lamp will be manufactured by investment casting in aluminum. Coupled with sandblasted glass diffuser and chrome plated swivel bearing in rose gold and gold. My name is Nathaniel Ng (20). I am currently in my final year in Product design at Ngee Ann Polytechnic, School of Design and Environment. Design is not all about how it feels, how it looks or how it works but also the meaning behind. I wish to see my design to be not all about the functionality, Aesthetic or Creativity but also the impact and affect it has on the users. A desk can serve many purposes. 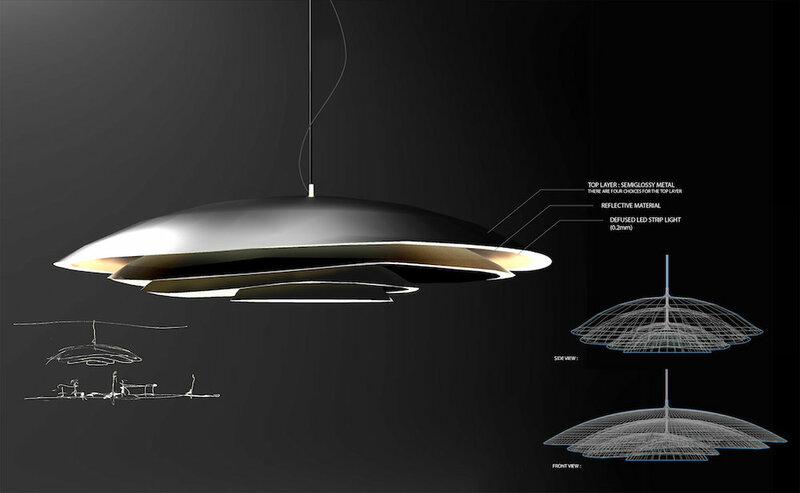 How can a lamp help accommodate those functions while fitting into it's surrounding environment? 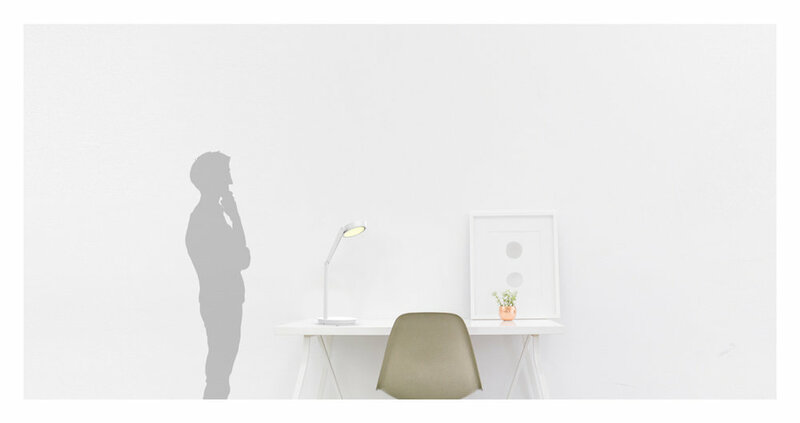 Inspired by the every changing universe, rEVOLVE is a multi-functional desk lamp that can not only provide you with ambient and task lighting, but will also charge your phone. Equipped with an inductive charger, USB port, dimming touch switch, and free swinging arm for any desired position, rEVOLVE can accommodate for any user or situation. It can provide up to 600 lumens of task light or eclipse itself and become your very own ambient light source to make your entire room shine. A 24v power supply is split into 12v for the light and 19v for the inductive charger/USB port. The light is controlled through a highly conductive silver plate that is connected to an on/off/dimming driver which is connected to the LED strip. Custom copper washers are located in the arm joints, allowing 360 degree rotation without losing conductivity. The outer body of the lamp is a 3D print. My name is David Roseberry and I am a third year industrial design student at The University of Cincinnati's College of Design Architecture Art and Planning. I started my college career as an engineer and made the switch to industrial design after my second year in school. I am inspired by other designers, technology, modern concepts, and current environments. I learn from the past but the future is what motivates me. 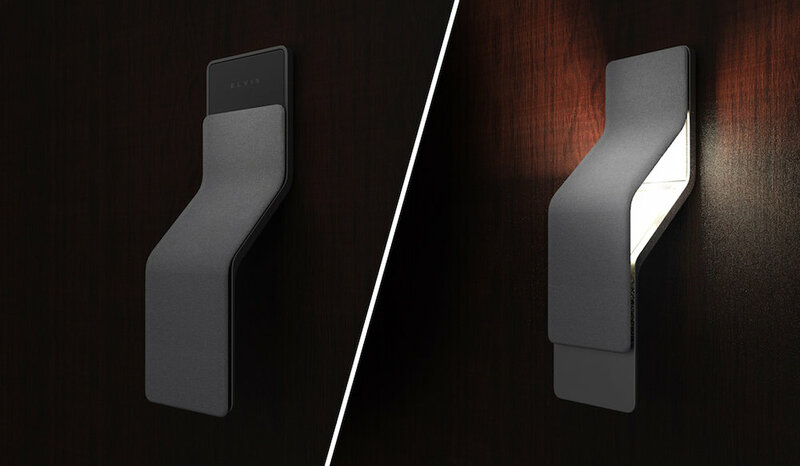 Tolys is a tablelamp for the private use. 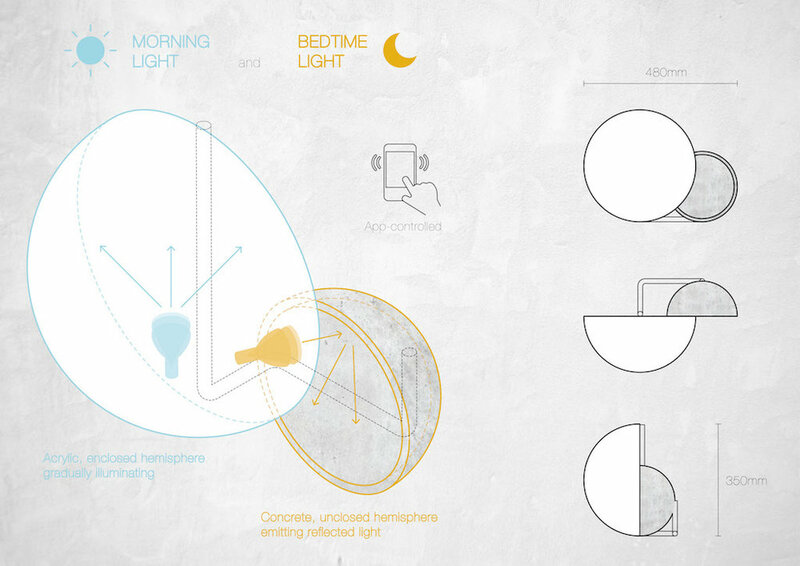 The lamp consists of two different sources of light and different colours of light. You can either use it to illuminate your room for working or for relaxing. spectrum of light makes us work more efficiently. The adjustable arm of the lamp guarantees high flexibility. You can also vary the light in colour and brightness. When the work is done you can easily switch from bright daylight to warm mood light. This part of the lamp consists of a brass ring with an integrated opal perspex disc.Thus one can create a warm and cosy atmosphere. It is reminiscent to the lighting moon. In this way work place and relax area are visually seperated. 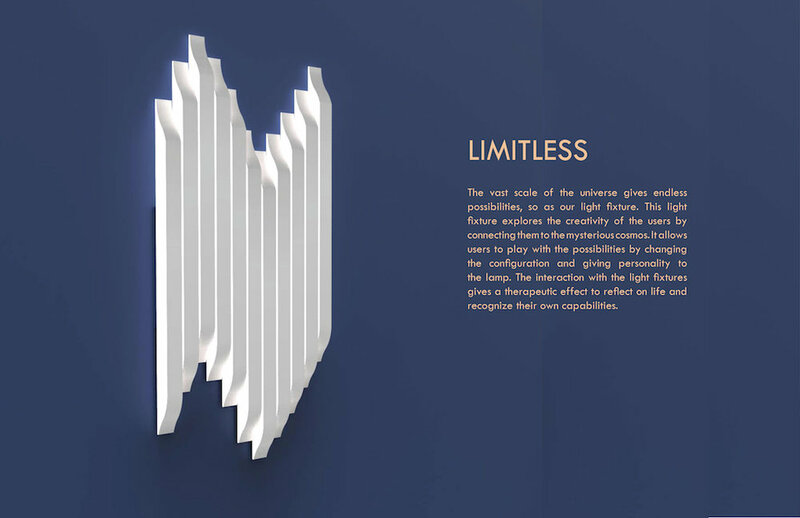 The linear form of the lamp unites astehtics and functionality like everything in cosmic. - all materials are recyclable. 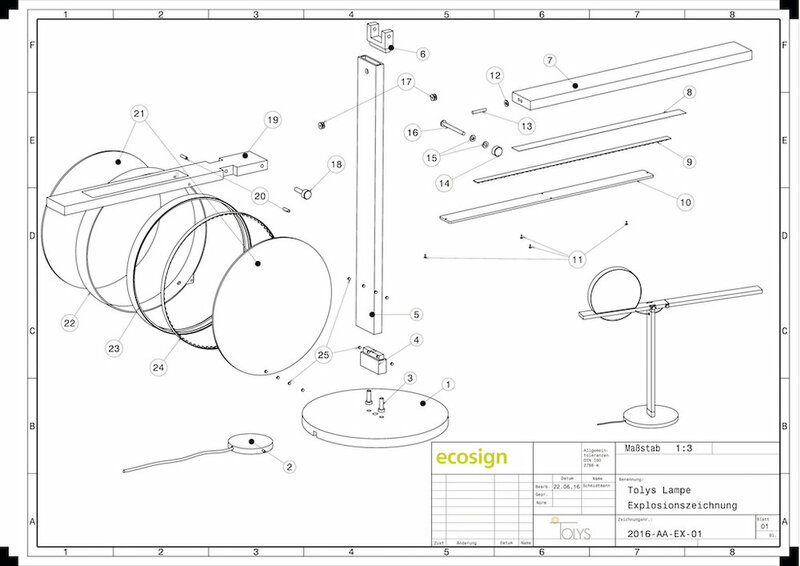 In September 2010 I have started to studi at ecosign - academy for design in cologne. In 2015 I got the Pearson BTEC Level 5, Professional Diploma in Sustainable Design. During my study I have focussed on interior design and lightings. In July 2016 I have done my diploma examination. Wormholes are theoretical passages that connect two different points in space-time. A tear is a term that is used for the openings of this bridge. The excitement of travelling through universe, or through two different universes led me to decide on the perspective that I would look from to this years theme. 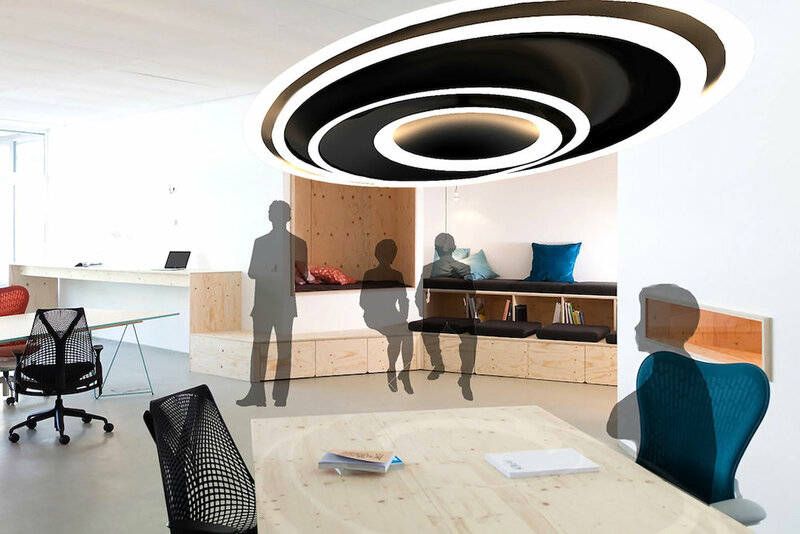 Tear is an ambient lamp that imitates the simple form of a wormhole. Its two openings are meant to lean against any two neighbour planes. A structure inside connecting these openings, supports and holds the translucent latex fabric, which embodies the throat of the wormhole. The use of a smooth material as latex in the body gives the feeling of lightness and the vertical shadows of the aluminium structure constructs an atmosphere of speed. Tear is designed to give the impression of that it is a bridge that connects your walls as if they were two different universes. The frame is made of aluminium extrusions which are bent to create the main structure of the lamp. 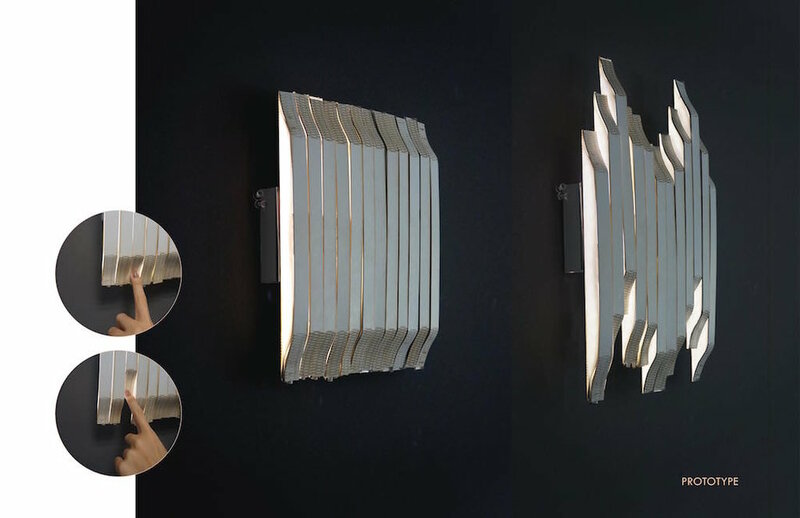 They are connected to two ellipse shaped aluminium pieces at both sides. Pre-molded latex cloth is stretched through the frame. 12V LED light bulbs are juxtaposed inside the construction frame. Tear is fixed to a wall, to a ceiling or to a floor by using two sided tape that wouldn't harm the surface. My name is Deniz İbanoğlu. I am currently a fourth grade industrial design student at TOBB Economy and Technology University in Turkey. I believe that the story behind a product is not only the core of the design but it is the main connection that you obtain with the user. I inspire myself to create products that would influence people with its functionality, simplicity and the story behind it. 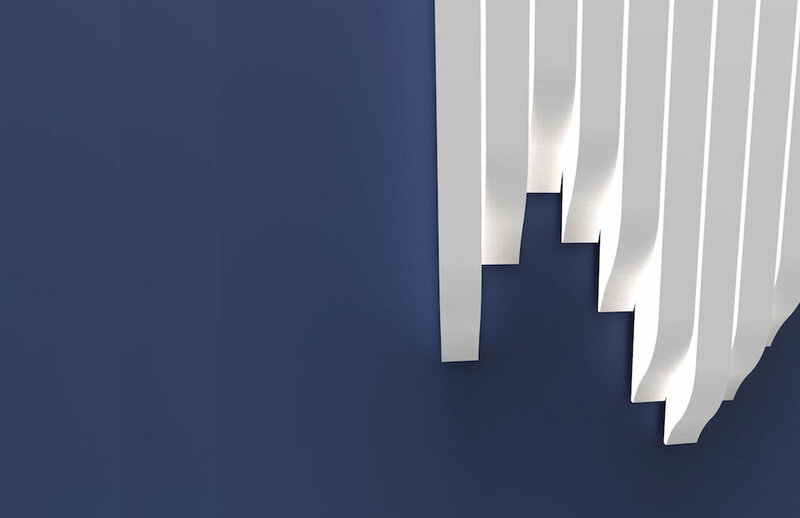 Elvis is an ambient light that can be adjusted by just sliding it. No switches, No smart phone connections, just simply a light that you can touch. In today’s world, every one desires something that works well, but technology and design today make the matters more complex than simple. Designs today provide the best visual and auditory experience, but somewhere we have lost the sense of touch. Elvis brings back the lost feeling of touch by allowing one to interact with it through touching a comfortable woven fabric case to adjust the intensity of light. Elvis Ambient Light aims to connect you to yourself, so that you connect to the world better, thus enabling it to be truly a cosmo-light. Aged 21, I am a 5th year industrial design student at ISD Rubika in Pune, India. I always keep an eye open for good design, constantly getting inspired to learn and create something wonderful.